Moyeam, botanic name Ampelopsis grossedentata (Hand.Mazz.) W. T. Wang, belongs to Viacearum, Ampelopsis Michx. The English name Moyeam is spelled from the Chinese name “茅岩莓". 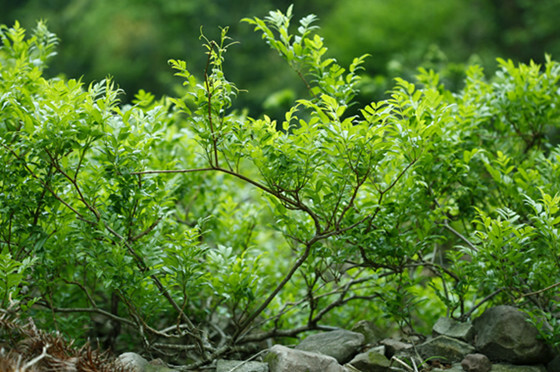 Moyeam is a precious plant growing in the famous Chinese mountain Zhang Jiajie. It is the settlements of Tujia minority. 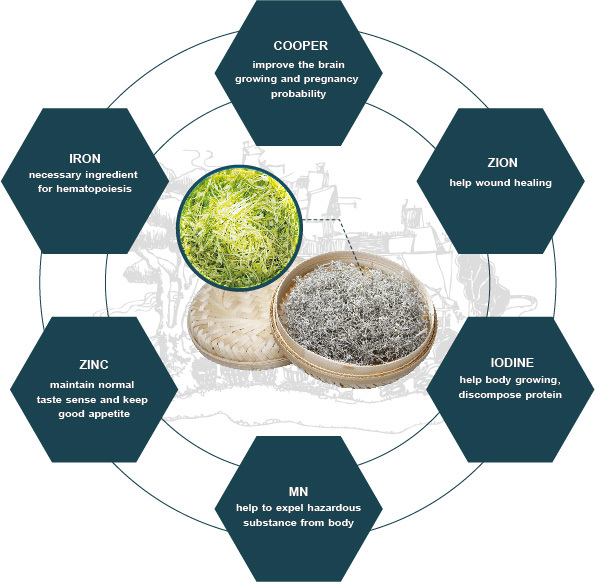 Moyeam contains rich flavonoids, amino acids, vitamins; proteins and essential trace elements.It has both nutritional and medicinal Value.The leaves and stems are used to make a herbal tea called Moyeam tea(China) which is also a kind of vine tea. It is the wonderful tea drink. According to the tests of 16 national medical authorities of China, Moyeam plant contains amazingly high level of natural active ingredients “white frost”, which are the flavonoids. The content of flavonoids is the highest in all the plants resources in the world. 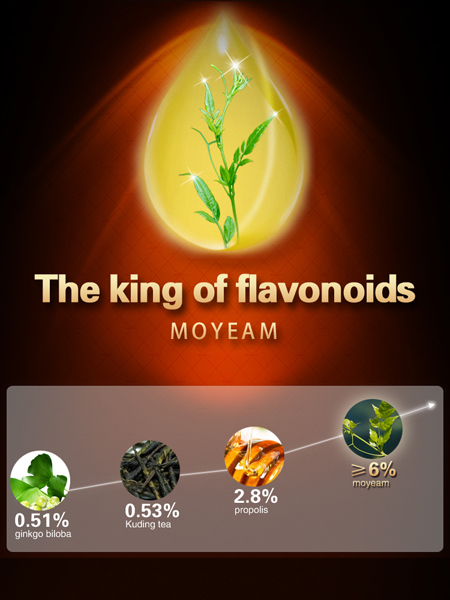 “KING OF FLAVONOIDS”, flavonoids are the main bio-active ingredients of Moyeam, the highest content reaches about 40% in Moyeam dried tea. 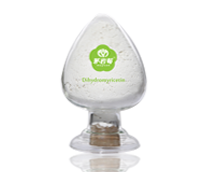 “KING OF AMPELOPSIN” , Ampelopsin(Dihydromyricetin) is the main part in flavonoids, the highest content reaches about 20% in Moyeam dried tea. 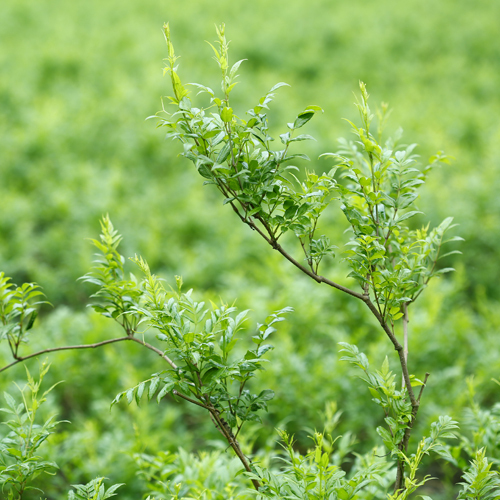 Moyeam Tea is rich in 17 kinds of amino acid. Moyeam Tea has 14 kinds of micro elements., especially Fe, Cu,Mn,Zn are higher, which are essential for our physical health. 3. 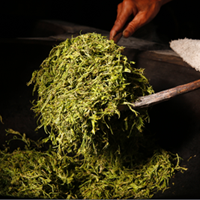 Compared with other teas not allowing to drink after hours,because the herbal tea water will become rancid, while Moyeam’s active flavonoids can kill bacteria, the moyeam vine tea tea is still able to drink even after one week; The same time, Moyeam tea can promote the function of both the Chinese and western medicine when take medicine by drinking the moyeam tea. no any pesticide residues in the moyeam tea, much healthier to the body.